The psychological trauma that Rod Serling suffered after WW2 inspired him to create "The Twilight Zone"
“The Twilight Zone” was one of the most influential programs in the history of television drama. It was an anthology series that aired in the early 1960s created by Rod Serling, a World War II veteran. Rod Serling was born on December 25, 1924, in Syracuse, New York. In his early years, he expressed a great fondness for short story anthologies and comic books, fantasy movies and science-fiction. His father even built him a small stage in their basement where he was able to perform. 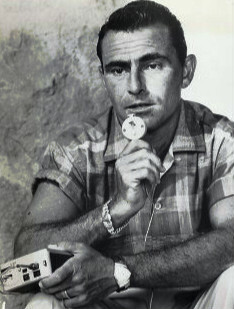 Serling attended Binghamton Central High School, where he began to express his interest in writing and eventually became editor of the school newspaper. Nightmares and flashbacks of his wartime experiences haunted Serling constantly once he returned. 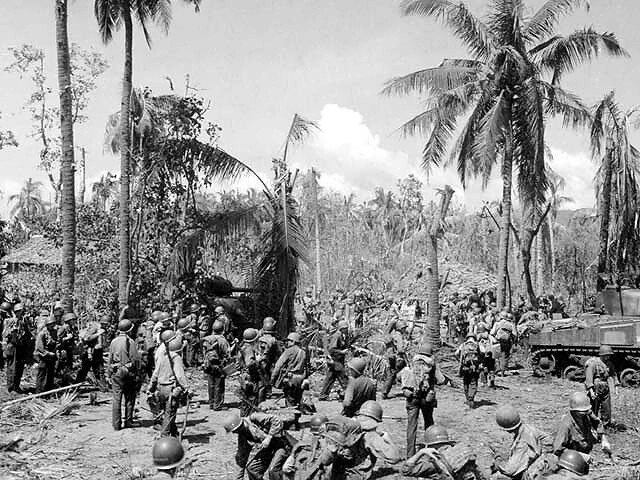 One particular event while serving in World War II would dramatically change his life and writings. While taking a picture with a friend during a lull at the Battle of Leyte Gulf in the Pacific, an Air Force plane dropped a box of extra ammunition that landed on Serling’s friend and flattened him fatally. This event would give him inspiration in many of his scripts and stories. When World War II ended Serling went to college and wrote for the campus radio station, and from there continued to write plays for commercial radio, and then television. Between 1951 and 1955, he had 70 scripts produced for a variety of shows. His big break came with Patterns, an Emmy-winning story about the ethics of corporate ladder climbing. Later his Requiem for a Heavyweight dominated the 1956 Emmy awards. Serling soon grew tired of network censors and corporate sponsors, who shrank from anything even remotely controversial, and decided to create his own show in order to avoid such artistic interference. He created the science fiction anthology series called The Twilight Zone. The Twilight Zone allowed him to write about death, war, racism, mass hysteria and capital punishment. As the host and narrator of The Twilight Zone, Serling became a television icon. He wrote 93 of the series’ 156 episodes over the course of its five-season run, which began on CBS in 1959. He used the show to deal with the untreated psychological trauma he suffered during his enlistment in the U.S. military. Praised for his original fiction writing, Serling was also highly respected for raising social issues in some episodes. He frequently concealed his intent in fantasy. The show gave the opportunity to communicate social messages in a more veiled context. Many of the classic Twilight Zone episodes focused on the post-war horrors of the world, specifically the twin threats of nuclear armament. 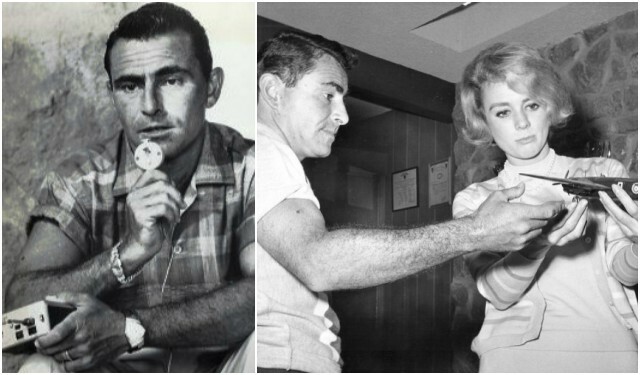 Serling’s daughter Anne, who published, “As I Knew Him: My Dad, Rod Serling,” in 2013 said, “although the war left scars, he was also a very positive, fun, down to earth person.” She believes that her father used the science-fiction genre to obscure the real-life commentary. “His quote was that an alien can say what a Republican or Democrat couldn’t.